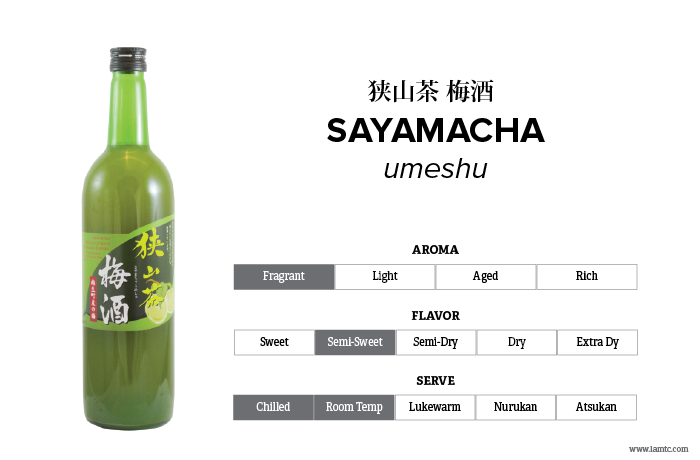 Sayamacha is a highly praised green tea which is considered to be one of the top three green teas in line with Uji tea and Shizuoka tea. Its deep earthy flavor interfused with sweet-tangy plum wine unexpectedly matches seamlessly. No synthetic colors or flavors are added. Enjoy the aroma and natural flavors of tea and plum. Brewery: Asahara Brewery Co., Ltd.